Like fashion and food, the landscape of cocktails is largely predicted by popular trends. Thanks to the resurgence of tiki drinks such as the Jungle Bird, refined disco sips like the Harvey Wallbanger, and anything and everything made with mezcal, 2017 was a fun time for liquor lovers. But with a new year come new trends and new techniques. Here are three things to look out for in 2018. Tiki cocktails were big in 2017, with recipes that were formerly deemed overly sweet getting retooled with premium spirits and more balanced proportions. Drinks that were once popular in the 1930s and ‘40s came back full swing, and we don’t anticipate this slowing down anytime soon. What’s more, you don’t have to walk through a bamboo door toward a waiter wearing a Hawaiian-print shirt to get a tropical drink. 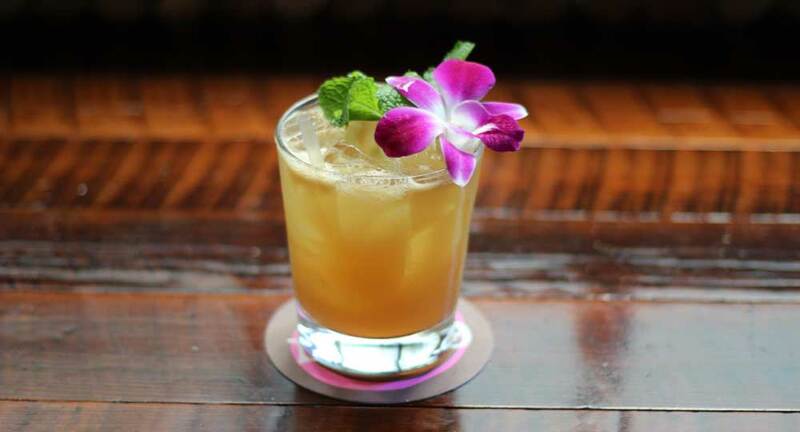 Refined tiki creations can and will continue to be found at many craft cocktail bars, listed right alongside other classics like the Manhattan and the Old Fashioned. A few years back, Japan wouldn’t have been the first place you’d think to look when shopping for whisky, but the country’s been making waves in the spirit world and people have been taking notice. Home to award-winning whisky labels like Nikka and Suntory, Japan has recently been churning out gins from these same brands that rival those from the UK. As you wait for the next batch of whisky to finish aging, get your hands on some yuzu, pepper, and green tea-laced gin. By the time that whisky comes around, you may just have forgotten that you were waiting for it in the first place. For many, the thought of sherry brings to mind an old dusty bottle sitting in their grandmother’s cupboard that hasn’t been opened for years. What was once considered one of the world’s best and most versatile wines, sherry has become widely misunderstood in recent decades due to an influx of cheap and cloyingly sweet blends. But all of that is changing. Thanks to a focus on small bodegas producing tiny batches, along with increased interest in artisanal wines, sherry has regained popularity. Expect to see it pop up on liquor menus all across the world, proving itself to be equally enjoyable when served straight or mixed into a cocktail. What are you excited to see come 2018?